Posted on December 2, 2016 at 5:02 pm. On November 3rd we were lucky enough to have over 250 buy and sell side people in a room that have to make MiFID II research unbundling rules work in practice. Naturally we couldn’t resist picking their brains, and some of the messages were quite surprising. Our thanks to the team at ResearchCentral for making their excellent app available for us to hijack on the day! Question 1: In 3 years what percentage of the industry in Europe (by AUM) will be paying for research out of their P&L? 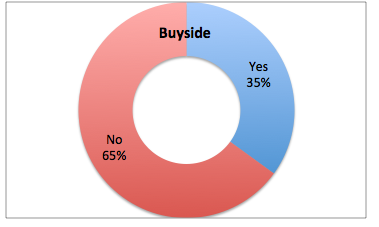 We observe extremes of opinion from the buyside here with no consensus, but both the buy and sell side think that less half the market will end up paying from their P&L. The stigma of continuing to charge clients for research is dissipating – if we had asked this in May the answer would have been very different – but that doesn’t mean the P&L option has gone away. Question 2: From January 2018 will there be a level playing field across Europe in terms of regulatory structure? 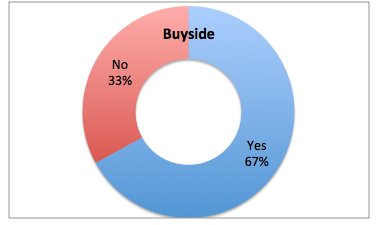 Buy and sell side were almost identical here – two thirds said there wouldn’t be. From conversations at the conference this was driven by the perception that the UK would have stricter rules and stricter enforcement than other European markets. 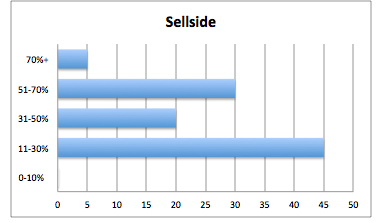 Valuation is the priority for both the buy and sell side. (We were delighted to hear that naturally!) Although it’s not clear where the most help is required – tracking and valuing interactions, tracking alpha-generating recommendations, measuring quality and the penetration of research etc. Asset managers are creating processes that need to provide robust justifications for their research procurement, and are looking for solutions right now. 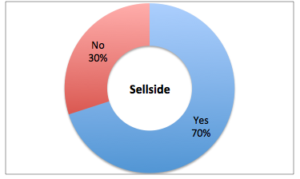 We were envisaging a scenario where bulge bracket firms both know that their clients would pay for their FICC research, and are happy to loss-lead with it (not a given by any means). 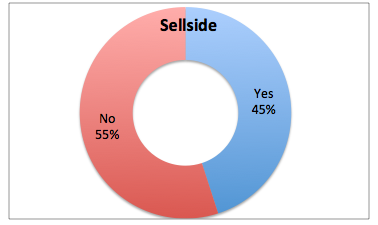 Our audience were asked if they thought the statement above was true – clear difference of opinion here, two thirds of the buyside agreed and more than half of the sellside disagreed. 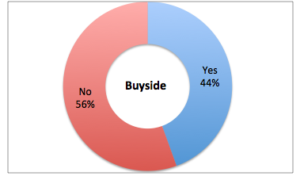 The takeaway here is that the buyside won’t make large new budgets for FICC research and will negotiate hard for what they need. The question is obviously simplistic – firms will make new budget available for niche areas as well, but these budgets may be tiny. 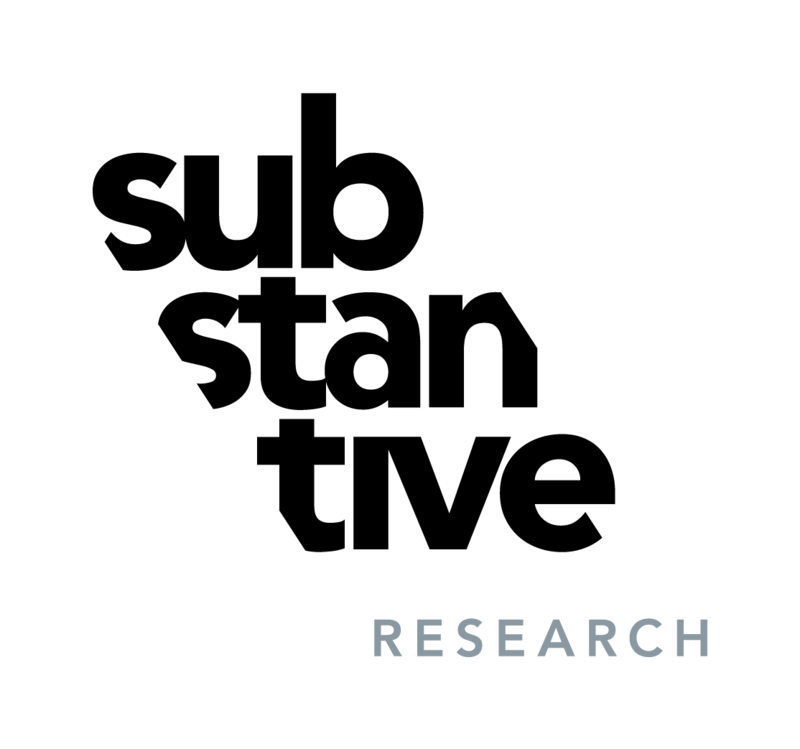 Question 5: Is a plentiful supply of external research a competitive advantage for hiring and retaining the best people? 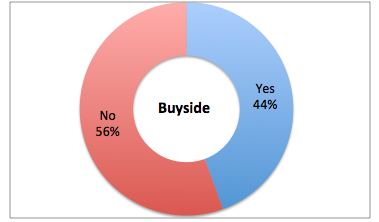 It’s unsurprising that the sell side would largely assume that this was the case, but almost half the buy side respondents disagreed. This lines up with many commentators’ assumptions that the research market will shrink – if it doesn’t hurt then why not risk cutting too much rather than too little? We were hoping to learn who has the leverage in the tricky negotiations coming up. Clear message from the buyside here – it’s not them, this process will benefit the “have-to-have” providers. Over half the sellside also admit that this is the case! We have to include a health warning with these results, some questions had a universe of under 40 respondents. 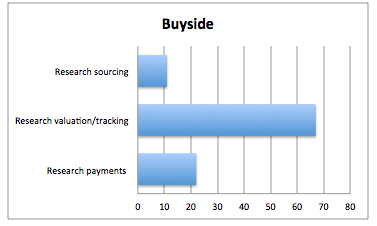 However it was a directly relevant universe in terms of research unbundling implementation. 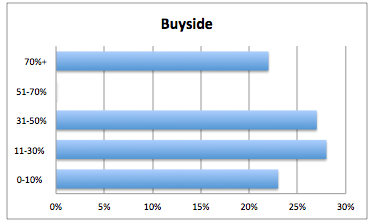 Our conclusions from these answers? 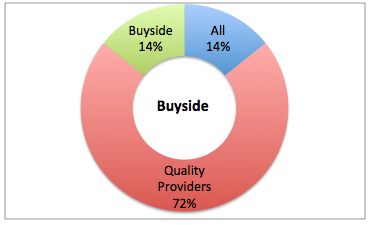 In both the buy and sell side you have to be really big, or really niche otherwise research unbundling hurts you. 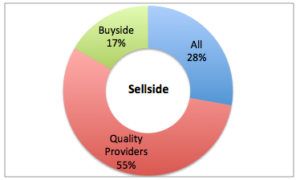 Asset managers are sorting out their research valuation processes now, and how that works will drive their negotiations with only the highest quality or most comprehensive providers benefiting. But what does highest quality mean when beauty is in the eye of the beholder? 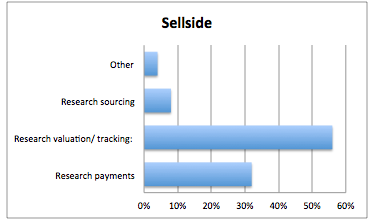 We have some ideas there – contact us at info@substantiveresearch.com with “Value” in the subject field to set up a call to look at our matching model, we’re keen for as much buyside feedback as possible!